These days a lot of companies give away branded USB drives at an exhibition or trade fair in order to promote their name with a view to generate brand awareness. There are endless uses for a USB drive printed with a company logo. This also means that the company’s logo, phone number and website address will always be available to the customer, if he/she wants to get in touch with them. 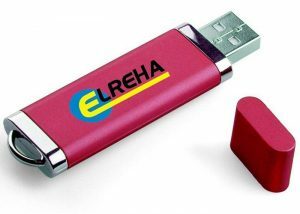 Nowadays, the most significant promotional give away is without a doubt a USB drive that is printed with a company logo. This is because nearly everyone uses them regularly and a made to order USB comes handy, whenever one needs them. There are many ways to make the most of your USB drive giveaway. It is always a good thing to print your company logo on one side and things like web address and telephone number on the other. This is much better than printing all these details on just one side of the USB drive. Remember, your customer might very well hang your USB drive giveaway on his/her key ring and use it to store word documents, music, photographs and what not. So going for a cheap USB drive with a low storage space is a sure way for your customer to throw it away at the earliest opportunity, and with it your company’s prestige. As you can see, skimping on storage would only make things worse. In fact, something like a 1 GB drive would work wonders. By keeping the things mentioned above in mind, you are assured of making a fine impression on your customer, a sure way to attract business in the long run.